Roadworks – Larch Avenue on Wednesday September 28, 2016. Installation of signs and posts. The Best Allotment prize giving took place on Tuesday, September 13, 2016 immediately before the September council meeting. Ann (pictured on the right) and Roy McEwan were the 2016 winners. The full results, along with pictures of the winning plot holders and their plots, can be found on the Allotments page. PCC online survey. The Police and Crime Commissioner (PCC), Anthony Stansfeld, is seeking your views on policing and crime to help inform his next Police and Crime Plan. The Police and Crime Plan sets out the PCCs priorities and objectives for the Thames Valley. From this plan, the Chief Constable of Thames Valley Police and other partners will develop their own annual service delivery plans. If you would like to share your views and help inform the next Plan then please visit www.thamesvalley-pcc.gov.uk/survey to complete the short survey. 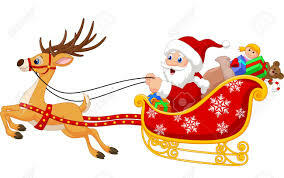 The Sunningdale Christmas Celebration will be held on Friday November 25, 2016 from 5.30pm to 7.30pm. Preparations are already underway and further information will be provided when the plans are complete. Meanwhile, we are looking for volunteers to help out on that evening. 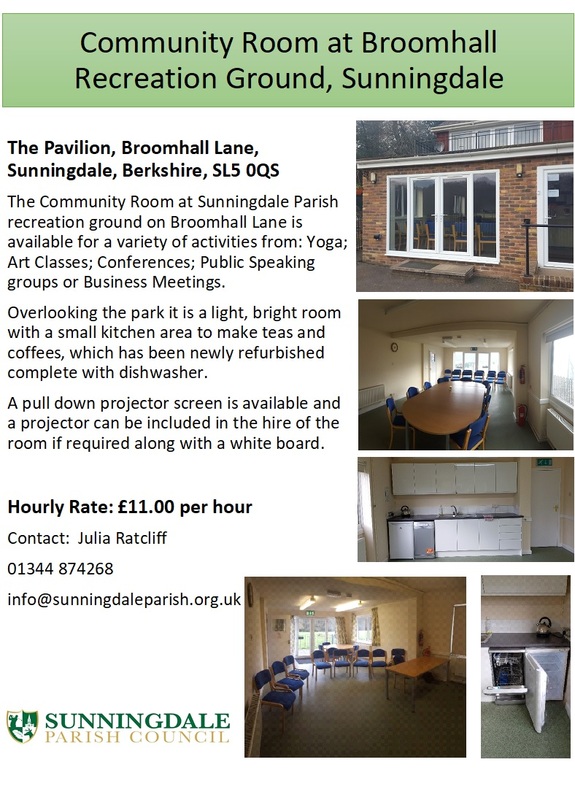 Please contact Ruth Davies (Parish Clerk) on 01344 874268 or info@sunningdaleparish.org.uk if you are able to assist. Lorry Watch. Over the last year or so, the parish council has worked with the Royal Borough of Windsor and Maidenhead to reduce the weight limit on the Chobham Road railway bridge for safety reasons. 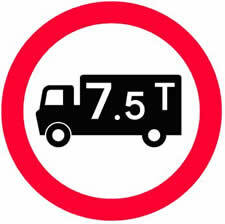 The limit is now set at 7.5 tonnes. Unfortunately, this is not preventing larger lorries from crossing the bridge, especially during the morning and evening rush hours. Having taken advice from Trading Standards on what can be done to prevent this happening, we need to establish a lorry watch team which will monitor the lorries using the bridge, record the make, model and registration of overweight vehicles and report these to Trading Standards to follow up. To do this, we need volunteers who are able to spend a couple of hours per day or per week as part of the team. 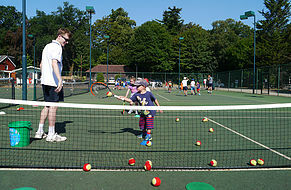 If you are able to help, please contact Ruth Davies (Parish Clerk) on 01344 874268 or info@sunningdaleparish.org.uk. 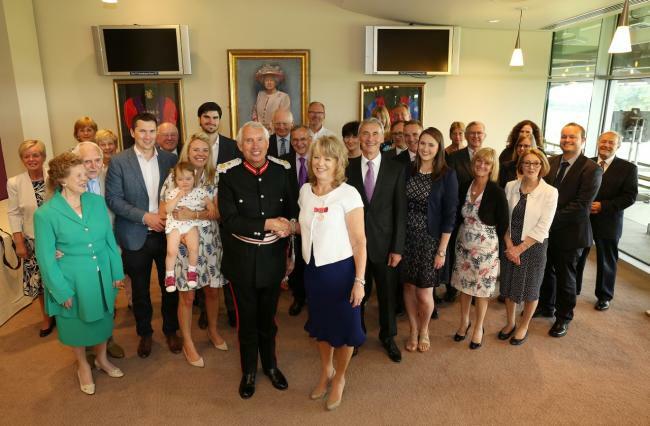 Margaret Morgan receives the British Empire Medal for her services to the community in Berkshire. 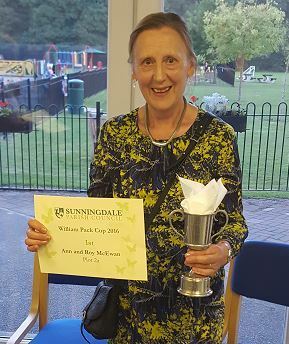 Margaret led the steering group that delivered the Neighbourhood Plan for Ascot and the Sunnings which was adopted in March 2014 when the electorate voted to accept it by a landslide majority. See the article in the Bracknell News. Vacancy for a Parish Councillor. NOTICE IS HEREBY GIVEN that due to the resignation of JULIAN GORINGE a casual vacancy now exists in the office of parish councillor for the Sunningdale Parish. The vacancy will be filled by election if, within fourteen days of the date of this notice, any ten local government electors for the said parish/ward of the parish submit a written request to the Returning Officer, Town Hall, St. Ives Road, Maidenhead, SL6 1RF. In computing the fourteen days, a Saturday or Sunday, Christmas Eve, Christmas Day, Maundy Thursday, Good Friday or a Bank Holiday, or a day appointed for public thanksgiving or mourning shall be disregarded. If no such written request for an election is received by the Returning Officer within the time specified, the vacancy will be filled by co-option by the Parish Council, Dated September 5, 2016. June Martin MBE receives the Margarette Golding Award for her services to the community. 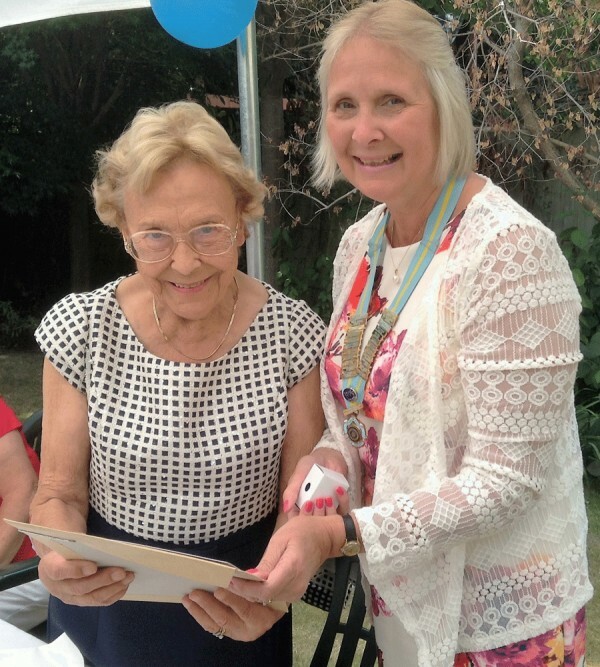 June, who recently celebrated her 90th birthday, was a key individual in the setting up of the Ascot District Day Centre in Sunninghill and Ascot Volunteer Bureau; both organisations help the elderly residents of Sunningdale, Sunninghill and Ascot. She was chairman of both, for 14 years and 20+ years respectively, and is the lifelong president of the Day Centre. Temporary Road Closure. The level crossing on the A30 in Sunningdale will be closed from 11.30 pm on Monday September 5, 2016 to 5.30 am on Tuesday September 6. The A30 will be closed from the junction with Broomhall Lane to Ridgemount Road. The AGM of Sunningdale Village Hall will take place on August 30, 2016 in the Small Hall, starting at 7pm. Printed copies of The Official Guide to Sunningdale 2016 have been freely distributed to all households. The online version is now available on this website on the official guide page. It can also be accessed by clicking on the the thumbnail image on the left. Beware that, even though it is compressed, it is a large document, weighing in at 22MB. Posted on August 28, 2016.